Tola Gbadebo recently ranked on the Amazon.com best-seller list with the new book, Success Breakthroughs, co-authored with Jack Canfield. Northwood, London – Nov 28, 2018 – Consultant and Coach, Tola Gbadebo, joined Best-Selling Author® Jack Canfield, originator of the Chicken Soup for the Soul® series, along with a select group of experts and professionals around the world to co-write the book, Success Breakthroughs: Leading Entrepreneurs and Professionals Reveal Their Secrets for Breaking Through to Success! The book also features content from JW Dicks, Esq. and Nick Nanton, Esq., international Best-Selling Authors® and marketing experts. The book was published by CelebrityPress®, a leading business book publisher that publishes books from ThoughtLeaders® around the world and was released on August 16, 2018. On the day of release, Success Breakthroughs reached best-seller status on Amazon.com – reaching as high as #11 in the “Direct Marketing” category, as well as placing #72 in Sales and Selling. The expert information shared in Gbadebo’s chapter, “Optimal Success,” helped the book reach optimal best-seller placement and will help readers gain similar success in their endeavors. After such a successful release, Tola Gbadebo, will be recognized by The National Academy of Best-Selling Authors™, an organization that honors authors from many of the leading independent best-seller lists. 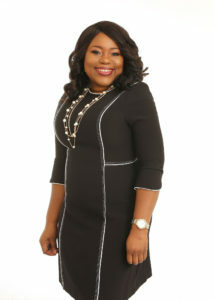 Tola Gbadebo is a Consultant, Speaker and Successcoach. Tola is an expert at empowering people and organizations at strengthening commitments to their Vision. She has worked for global leading banks and has experience in multi-disciplinary projects in Africa, Europe, Australia and the United States. Tola provides valuable and strategic insights in delivering best in class service to her clients. She excels in advising clients on Regulatory risk management, Governance and project execution. Tola has been an invited speaker at expert panels, seminars and conferences. She is acknowledged as an influencer and a communicator. She is naturally skilled at stirring the innate gifts of others. She enthuses people about their capabilities and encourages them to be the best they can be. Tola aims to transform lives and empower leaders across all walks of life, inspiring people to live their dream life.